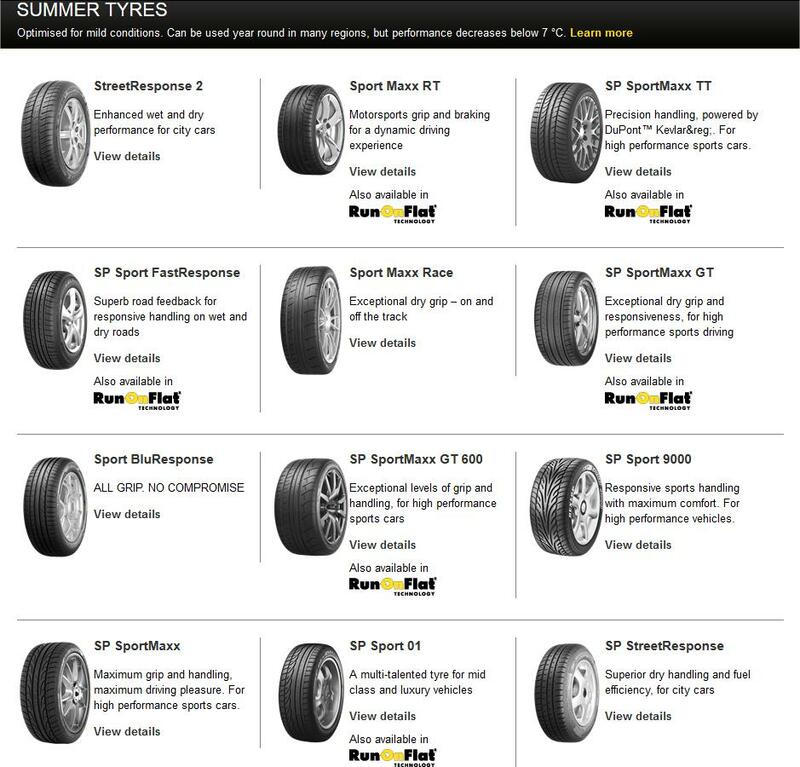 As of February 2015 the following tyres are the latest range of tyres supplied by Dunlop for summer & winter. Winter Tyres or 4×4 Which are Best? The difference is dramatic and the extra grip of the winter tyres hard to credit. In an Auto Express comparison, a summer tyre failed to even get to half the test tracks on snow. As the main summer holiday season approaches, drivers who will be towing a caravan or trailer are being encouraged to pay particular attention to their tyres before setting off. The advice is being issued by not for profit organisation TyreSafe in a bid to help road users reach their destination safely. Figures from the Highways Agency reveal that in 2013 nearly 5,000 towing-related incidents occurred on its roads, with almost half of these happening between July and September. As one of the UK’s most popular holiday destinations, the South West region saw the highest number of summer towing incidents, accounting for more than a fifth of the UK’s total. To minimise the risk of suffering a tyre-related towing problem, drivers are being advised to make a number of key safety checks on both their caravan or trailer and their towing vehicle. Firstly, it’s essential that tyres are correctly inflated for the applied load. Tyres that are under-inflated are much more likely to overheat and suffer from a rapid failure which can lead to loss of control of the vehicle. Furthermore, any resulting debris left on the carriageway can prove extremely hazardous for other road users. Details of correct pressures for caravans and trailers can be found by visiting here. Drivers should also remember that, when towing, pressures on the towing vehicle may need to be adjusted accordingly. Details of this can be found in the vehicle manufacturer’s handbook. Tyre tread depth should also be checked to ensure they exceed the UK’s legal minimum requirements of 1.6mm across the central three quarters around its entire circumference. This can be checked either with a calibrated tread depth gauge or very quickly using a 20p coin. Simply place a 20p coin in the main tread grooves of the tyre and, if the outer band of the coin is obscured, then the tyres should exceed the legal minimum. If the outer band is visible then the tyre tread depth may be low and should be inspected immediately by a tyre professional. The final aspect drivers should pay attention to is the general condition of the tyres. Owners should look out for any signs of damage such as lumps, bulges, cuts, cracks or uneven wear. If any of these are present, the vehicle should be inspected by a tyre professional. via www.tyresafe.org – Drivers urged to tow the line this summer. We have a vast range of leading brand and budget tyres for cars, vans, four wheel drives and motorbikes. Keep your car and it’s precious cargo safe by maintaining your tyres. Whatever you are looking for we will have the right tyre and brand for you. Browse our database online today to view our extensive range of leading brands at great prices. We can provide you with a full fitting and alignment service. We have all the leading tyre brands including: Dunlop, Bridgestone, Firestone, Goodyear, Michelin, Avon, Continental, and Pirelli. Browse our extensive range of car tyres by clicking on the image above. We also sell an extensive range of 4×4, van, motorbike tyres at competitive prices. Browse our range. 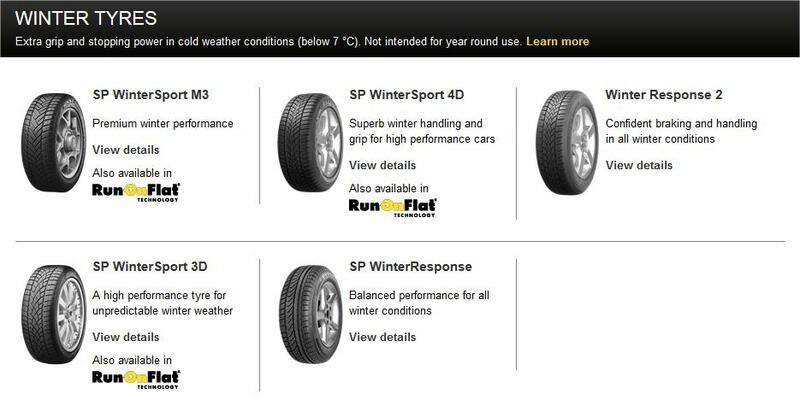 Winter Tyres or 4x4 Which are Best?